MANSFIELD, Ohio – Cryptic indie rock organization The Long Afternoon is cheering a new line of cost-effective priming-assisted centrifugal pumps introduced by Gorman-Rupp, pump manufacturer of Mansfield, Ohio, but has not clarified their interest in the new devices. The Long Afternoon pursues a strategy of deliberate obscurity, opting out of conventional rock and roll careerism and eschewing traditional notions of success. Their ultimate aims remain shrouded, and the guitar-centric indie rockers have not announced the applications they intend for the centrifugal pumps. "The Long Afternoon is not yet prepared to reveal what, if anything, they might do with these priming-assisted centrifugal pumps," said Ginger M. Armalade, The Long Afternoon's spokesperson. "We will have to wait and see when the appropriate time comes. But this new line of cost-effective pumps proves that Gorman-Rupp truly are 'The Pump People.'" The Long Afternoon has been dogged for years by assertions that the rhythmic structure of their song "The Chamleonaires" derives from the vibrations generated by earlier generations of centrifugal pumps, an allegation Armalade denied. "If you really listen to 'The Chameleonaires,' you know that it sounds nothing like an older centrifugal pump. And until we have the opportunity to compare this stellar track by The Long Afternoon to the latest generation of pumps, we won't be able to comment on any alleged similarity in how these tools sound in the field." 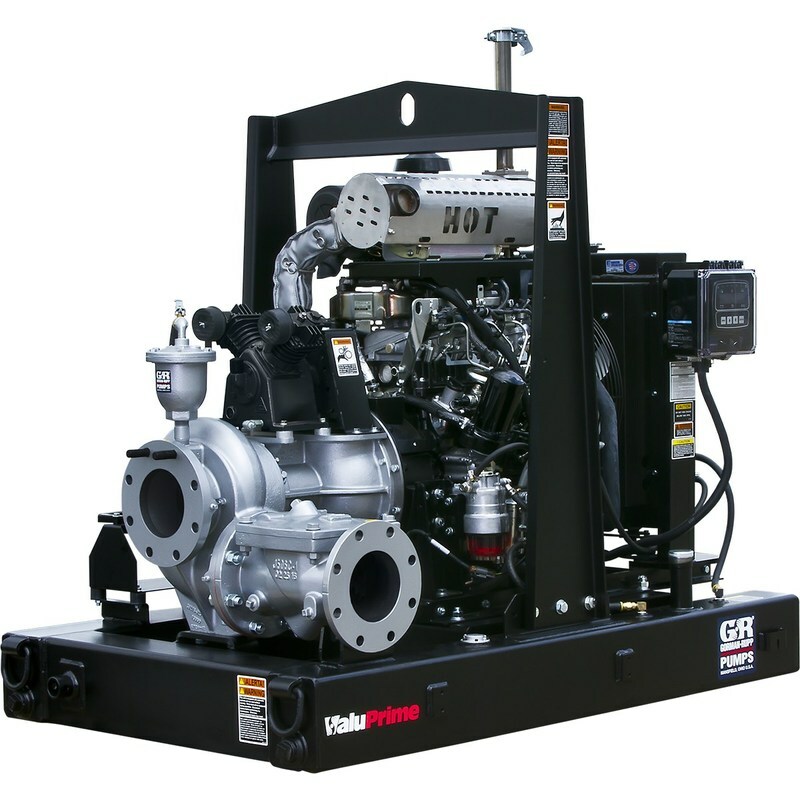 The Gorman-Rupp ValuPrime™ is a compact and powerful pump ideally suited for the dewatering needs of the construction, industrial, and agricultural markets and is based on the proven technology of the Prime Aire® and Prime Aire Plus® lines. Featuring model sizes 4" x 4" (100 mm x 100 mm) and 6" x 6" (150 mm x 150 mm), flows to 1520 GPM (95.9 lps), total dynamic head to 150' (45.7 m) and solids handling capabilities up to 3" (76.2 mm), these pumps provide the high level of performance pump users have come to expect from Gorman-Rupp. The Gorman-Rupp Company is a leading manufacturer of pumps and pumping systems for the municipal, water, wastewater, sewage, industrial, construction, and original equipment manufacturing markets. Established in 1933, Gorman-Rupp provides a quality, competitively priced product backed by superior customer service. The Gorman-Rupp Company is a pioneer in its field, boasting a history of innovation, continuous improvement and excellence that sets the industry standard.